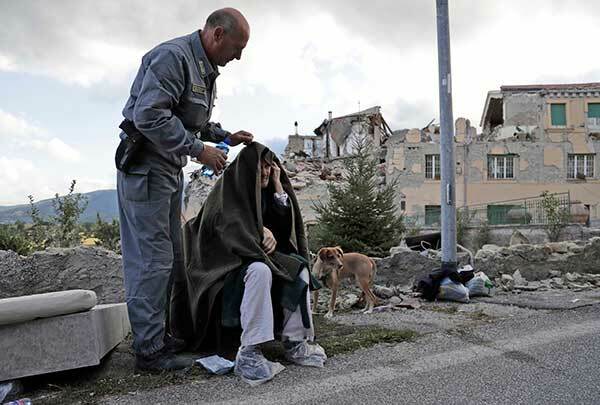 AMATRICE, Italy -- Rescue crews aided by sniffer dogs dug through crumbled homes Thursday looking for earthquake survivors as Italy again anguished over how to secure its ancient towns and modern cities from the country's highly seismic terrain. After a night of uninterrupted, flood-lit search efforts, firefighters and rescue crews worked in teams around the hard-hit area in central Italy, pulling chunks of cement, rock and metal from mounds of rubble where homes once stood, searching for signs of life. Authorities say at least 241 people were killed and hundreds injured in the quake that struck at 3:36 a.m. Wednesday. At least 470 aftershocks have since rattled the area - one as strong as magnitude 5.1. 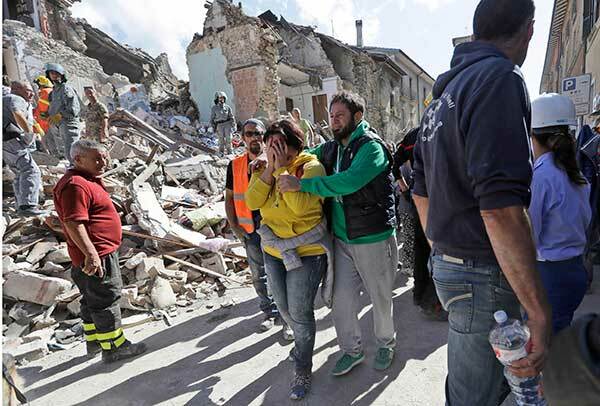 Rescue crews using bulldozers and their bare hands raced to dig out survivors from a strong earthquake that reduced three central Italian towns to rubble Wednesday. One rescue effort focused on the Hotel Roma in Amatrice, famous for the Amatriciana bacon and tomato pasta sauce that brings food lovers to this medieval hilltop town each August for its food festival. Amatrice's mayor had initially said 70 guests were in the crumbled hotel ahead of this weekend's festival, but rescue workers later halved that estimate and the owner said most guests had managed to escape. Firefighters' spokesman Luca Cari said one body had been pulled out of the hotel rubble just before dawn after five were extracted earlier but searches continued there and elsewhere. 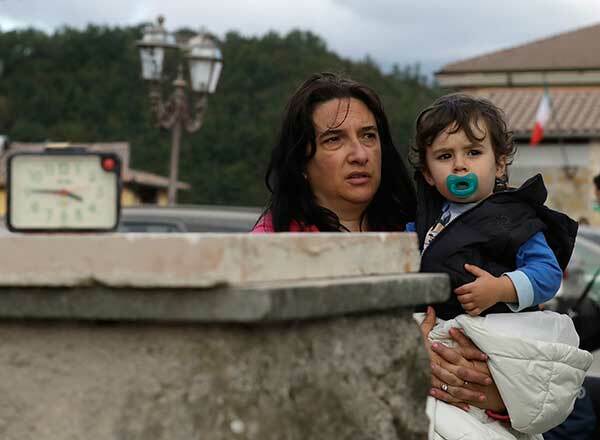 "We're still in a phase that allows us to hope we'll find people alive," Cari said, noting that in the 2009 earthquake in nearby L'Aquila, one survivor was pulled out after 72 hours. Rescuers refused to say when their work would shift from saving lives to recovering bodies. "We will work relentlessly until the last person is found, and make sure no one is trapped," said Lorenzo Botti, a rescue team spokesman. 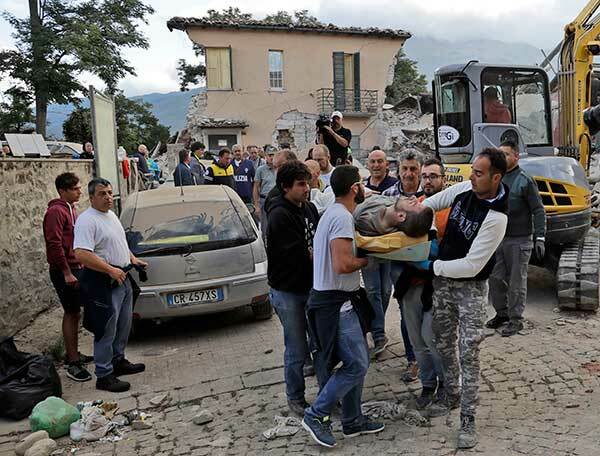 Worst affected by the quake were the tiny towns of Amatrice and Accumoli near Rieti, 100 kilometers (60 miles) northeast of Rome, and Pescara del Tronto, 25 kilometers (15 miles) further to the east. Italy's civil protection agency reported the death toll had risen to 241 early Thursday with at least 264 others hospitalized. Most of the dead - 184 - were in Amatrice. Authorities revised downward an earlier figure of 247 after one of the affected areas corrected its toll. A Spaniard and five Romanians were among the dead, according to their governments. There is no clear estimate of the missing since the area was flooded with summer vacationers. The Romanian government alone said 11 of its citizens were missing. Emergency services set up tent cities around the quake-devastated towns to accommodate the homeless, housing about 1,200 people overnight. 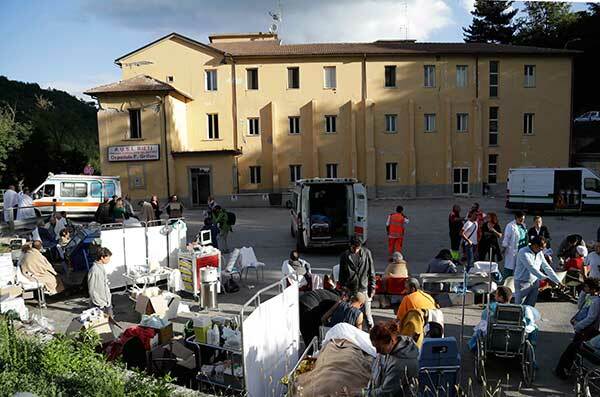 In Amatrice, 50 elderly people and children spent the night inside a local sports facility. "It's not easy for them," said civil protection volunteer Tiziano De Carolis, who was helping to care for about 350 homeless in Amatrice. "They have lost everything: the work of an entire life, like those who have a business, a shop, a pharmacy, a grocery store. From one day to another, they discovered everything they had was destroyed." 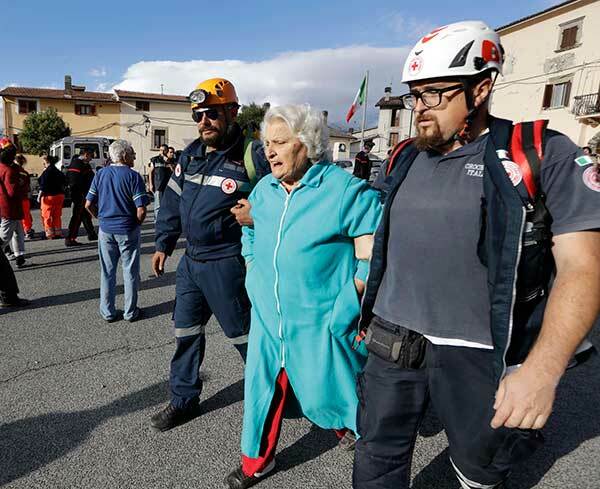 As the search effort continued, the soul-searching began as Italy once again confronted the responsibilities that come with having the highest seismic hazard in Western Europe. At the same time, the country has countless picturesque medieval villages but its anti-seismic building codes aren't applied to old buildings and often aren't respected when new ones are built. "In a country where in the past 40 years there have been at least eight devastating earthquakes ... the only lesson we have learned is to save lives after the fact," columnist Sergio Rizzo wrote in Thursday's Corriere della Sera. "We are far behind in the other lessons." Some experts estimate that 70 percent of Italy's buildings aren't built to anti-seismic standards, though not all are in high-risk areas. 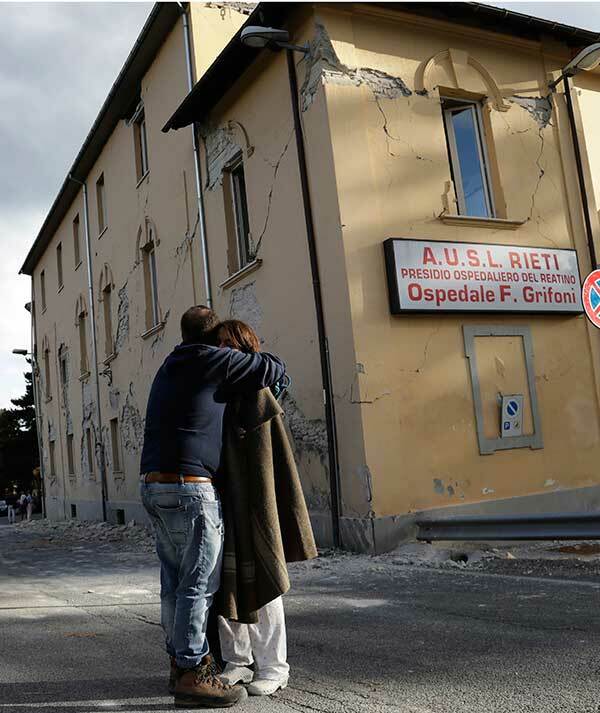 After every major quake, proposals are made to improve, but they often languish in Italy's thick bureaucracy and chronic funding shortages. It's no small task to secure thousands of ancient towns and newer structures built before codes were passed or later in violation of them. Premier Matteo Renzi, visiting the quake-affected zone Wednesday, promised to rebuild "and guarantee a reconstruction that will allow residents to live in these communities, to relaunch these beautiful towns that have a wonderful past that will never end." Geologists were surveying the damage Thursday to determine which buildings were still inhabitable, while Culture Ministry teams were also fanning out to assess the damage of some of the region's cultural treasures, especially its medieval-era churches. 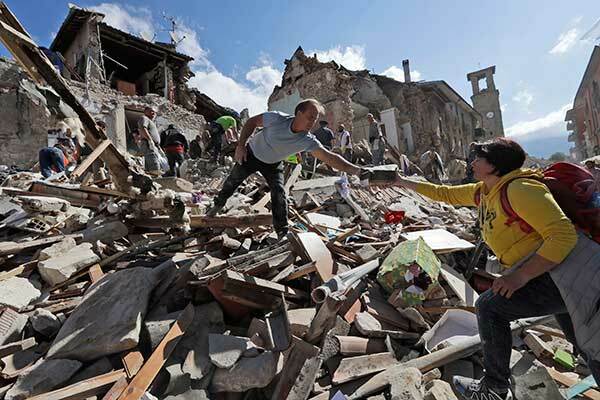 Italian news reports Thursday said prosecutors investigating the quake were looking in particular into the collapse of Amatrice's "Romolo Capranica" school - restored in 2012 using funds set aside after the last major quake struck central Italy in 2009. In recent quakes, some of these more modern buildings - many of them public institutions - have been the deadliest: the university dormitory that collapsed in the 2009 L'Aquila quake, killing 11 students; the elementary school that crumbled in San Giuliano di Puglia in 2002, killing 27 children - the town's entire first-grade class. In Italy, major quakes are often followed by criminal charges being filed against architects, builders and officials responsible for public works if the buildings crumble. 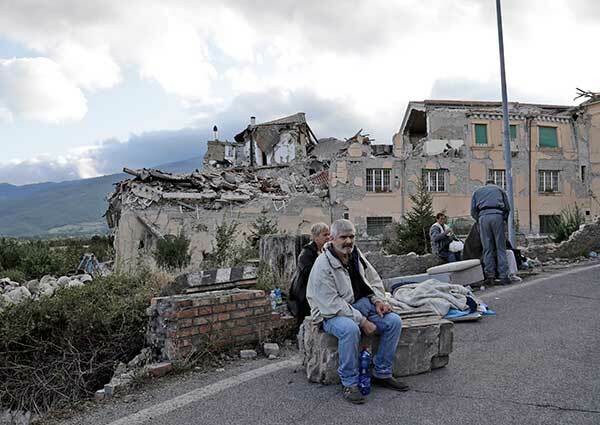 In the case of the L'Aquila quake, prosecutors also put six geologists on trial for allegedly having failed to adequately warn residents about the temblor. Their convictions were ultimately overturned on appeal. While the government was already looking ahead to reconstruction, rescue workers on the ground still had days and weeks of work ahead of them. In hard-hit Pescara del Tronto, firefighter Franco Mantovan said Thursday that crews knew of three residents still under the rubble but in a hard-to-reach area. On Wednesday evening there, about 17 hours after the quake struck, firefighters pulled a 10-year-old girl alive from a crumbled home. "You can hear something under here. Quiet, quiet," one rescue worker said, before soon urging her on: "Come on, Giulia, come on, Giulia." But in many other cases, wails of grief rang out when bodies emerged. "Unfortunately, 90 percent we pull out are dead, but some make it, that's why we are here," said Christian Bianchetti, a volunteer who was working in Amatrice.